These corrugated plastic storage and carrying cases provide durable, economical storage and carrying of natural bone and replica human adult skeletons or multiple skulls. The cases have lightweight structure and are easy to assemble. This case is both attractive and resilient. Corrugated plastic side panels assure protection of its contents. This case ships flat and is easy to assemble. 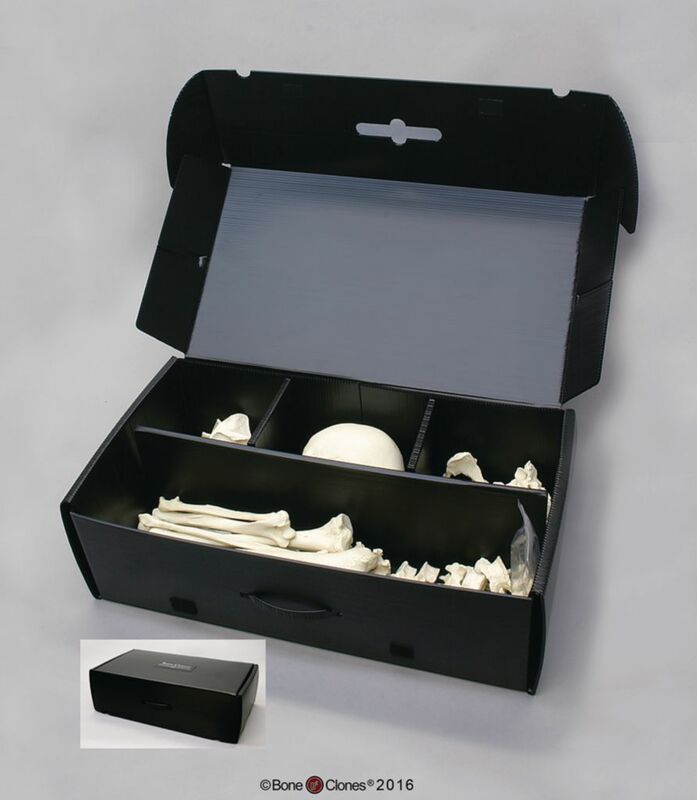 This case will fit an adult disarticulated human skeleton and postcranial bones. In addition, the case with its multiple divisions will fit up to six human and fossil hominid skulls as well as many primate skulls. 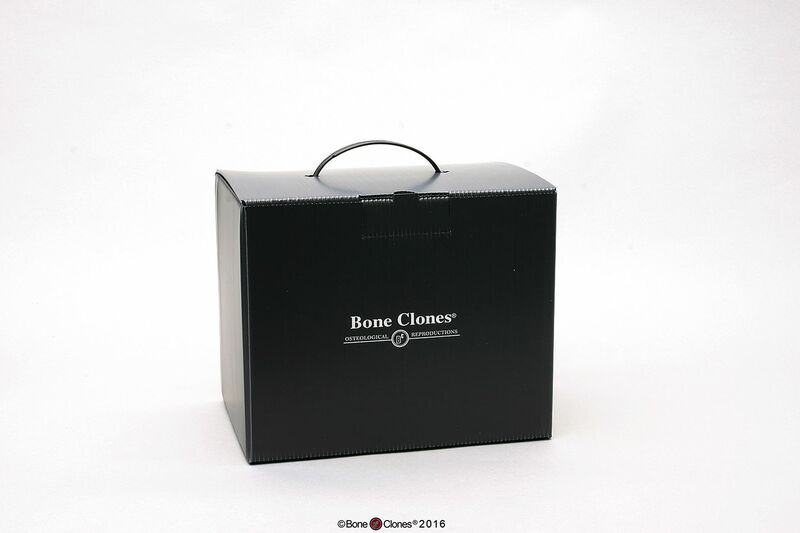 The Skull case is designed for the storage of a single full sized skull and is not compartmentalized.